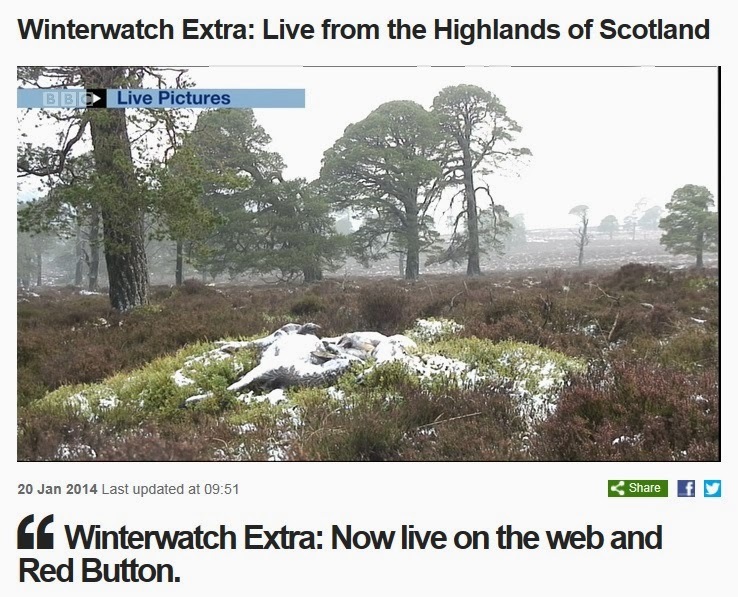 Winterwatch Extra: Now live on the web and Red Button. Thanks Shirl - off to have a peek before darkness falls. We'll be watching Wintewatch too and have registered for the Birdwatch. Already there are less feathered visitors to the garden. Lisa, aw… hopefully you’ll catch it again over the weekend. The time difference is the problem here – it’s not 24hr live streaming.